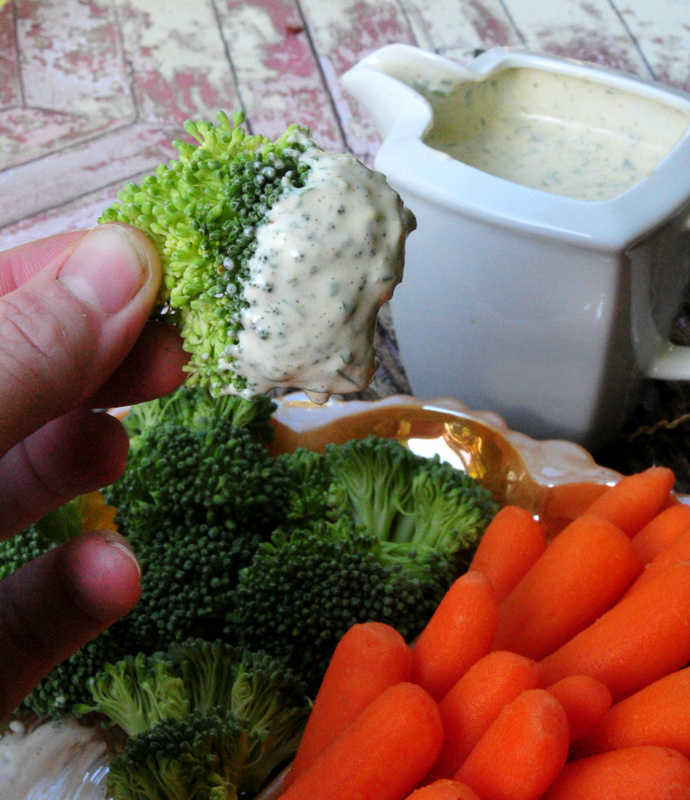 For as long as I can remember Ranch has always been the trashiest of trashy when it comes to dips or dressings. Working in a big resort, I was always making things like Roasted Beetroot & Pistachio Vinaigrette or Honey & Harissa Dressing….you know the fancy, pretentious stuff. 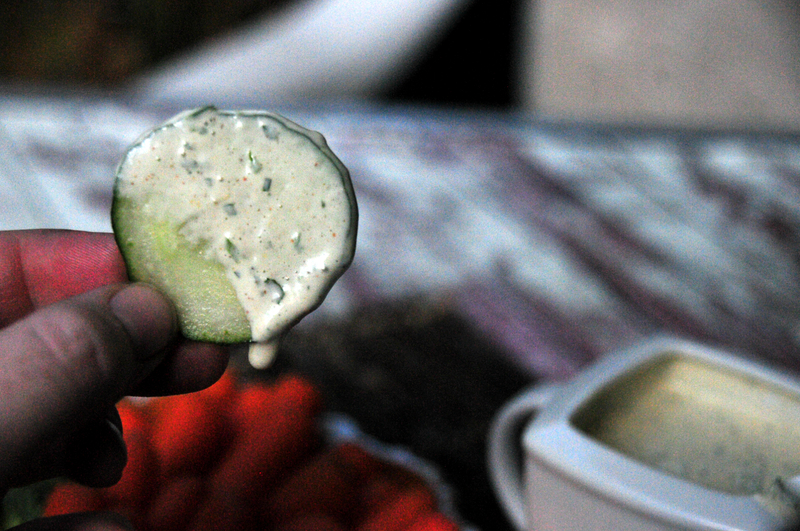 Pretty much the only Ranch dressing I’ve ever had is Hidden Valley which in all honesty…is a complete tragedy. 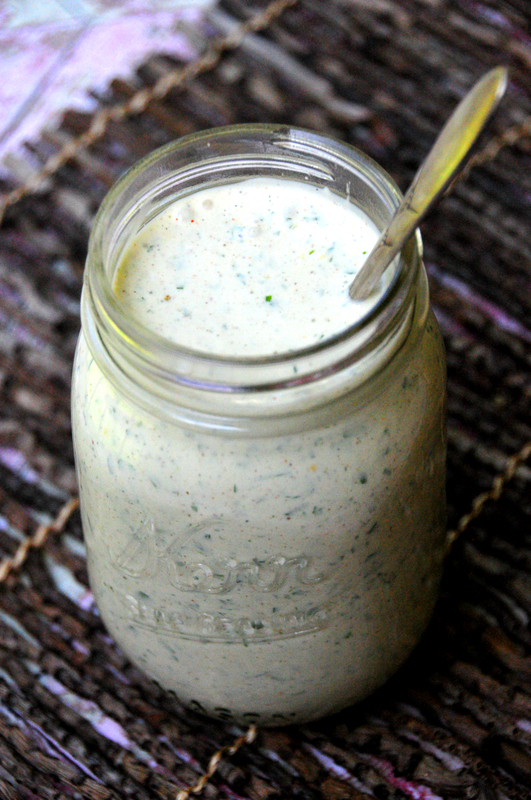 Especially, after tasting this home made Ranch. 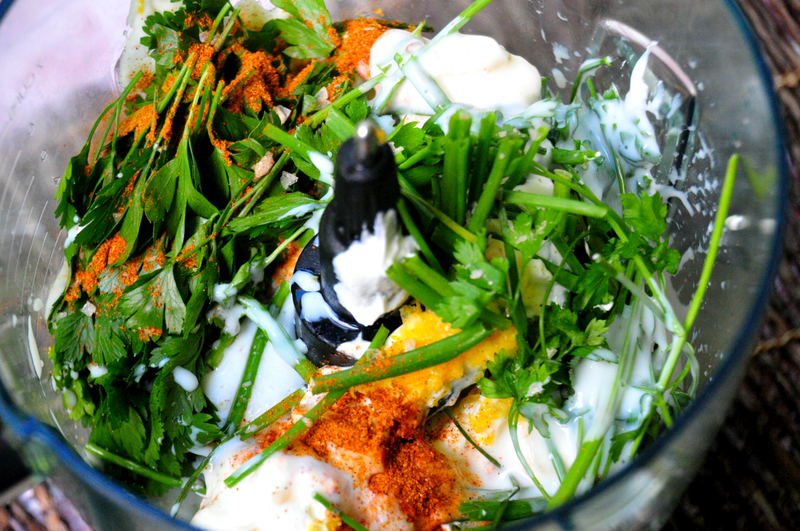 It is so simple, basically you put all the ingredients in a food processor or blender and blitz it up! 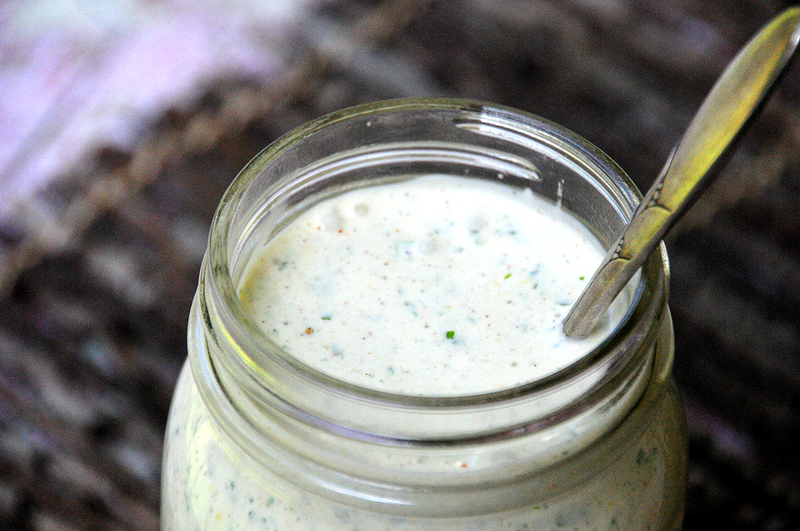 I even use this as a dressing for Chicken Salad or Tuna Salad. So yummy! YUM! 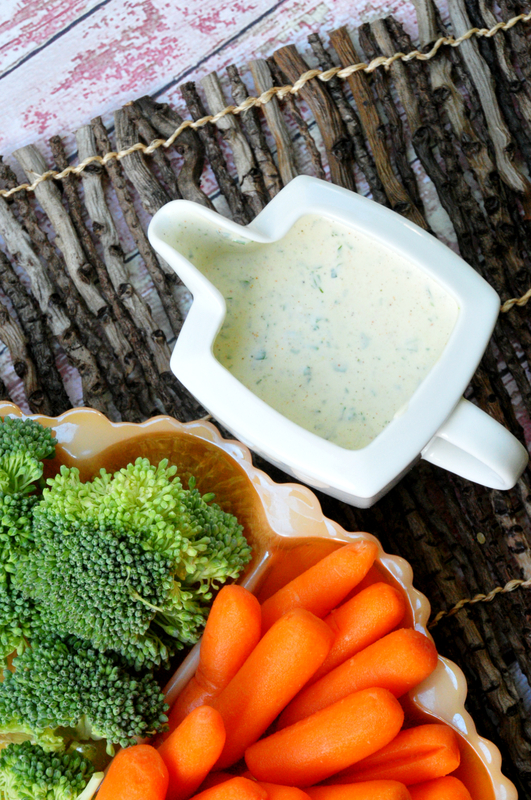 Ranch is always a favorite and I’m forever in search of a good recipe that’s primal-friendly. Can’t wait to try this one – thanks! Would love to see the nutrition facts on this recipe. Wow this looks light, creamy and delicious! 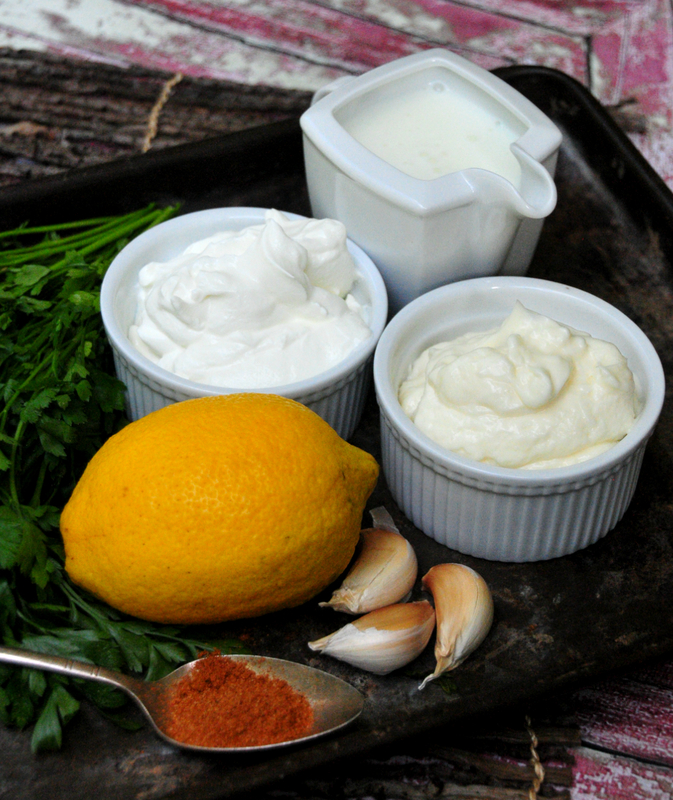 I love ranch and will try your version soon! Thanks for sharing!